Official description: Inspired by the classic cervezas served ice cold by the beach, we created our own take on those light and easy beers born south of the border. Sierraveza is golden and crisp, with a balanced malt flavor and a hit of floral hops that will have you calling out for another round. Malts: Pilsner, Wheat, C-60. Hops: Sterling. 5% ABV, 18 IBUs. Sierra Nevada’s year-round lineup has expanded over the past two years to include some exceptionally good offerings like Hop Bullet, Sidecar Orange IPA, Hazy Little Thing, and Otra Vez Lime & Agave. Sierraveza also joins this pack but may have some overlap with Nooner Pilsner and BFD. (Reviews forthcoming.) Let’s see how this one turned out. I grabbed a six-pack of 12oz cans of Sierraveza, which comes in a nice paper carton. This is currently my favorite packaging combo in the industry. The bottom of my can also has an easy-to-read packaging date of 12/27/18 making this under 3 months old and well within the freshness window. Into my glass, Sierraveza is crystal clear straw in color with brilliant white foam sporting a rocky texture. Head retention isn’t so great as the foam collapses steadily in less than a minute. But there’s a beautiful aroma when I bring up the glass: pineapple gummy bear, lemon zest, and white grape juice concentrate. It’s much fruiter, hoppier than I expected. Flavors continue that theme as Sierraveza is bright and juicy with yellow apple and touches of pineapple. Sweetness is mid-range at a 5/10 level while bitterness is expectedly low at a 2/10. Though fruity hoppiness is higher than expected, the beer is still malt-forward with a hefty dose of cereal grains like Frosted Flakes. There’s an excellent aftertaste too, clean and refreshing with just a touch of creamy wheat. 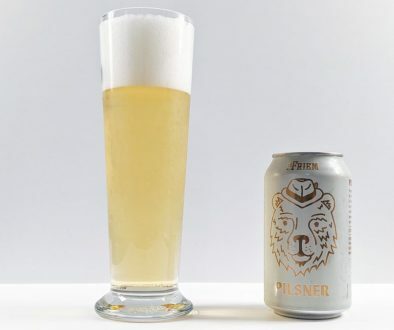 Sierraveza doesn’t take any cues from other American craft breweries, who have collectively decided to rebrand Vienna lagers as being Mexican lagers perhaps due to the growing popularity of Mexican macro beers like Negra Modelo among millennials in the U.S. Though Sierra Nevada is clever not to mention “Mexican” anywhere on the beer, only implying it from the name. The end result is a fabulous beer that is richly malty, full of vibrant yellow fruits, and finishes clean and refreshing. I still need to sample some of SN’s other “easy drinking” beers like Nooner Pilsner and BFD for a direct comparison. 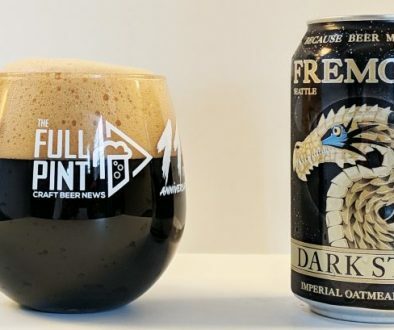 For now, this is one hell of a session beer. I understand the trendiness of the Mexican lager marketing, but some drinkers may be disappointed to find that Sierraveza isn’t an amber lager but rather a modern, fruity pale lager. 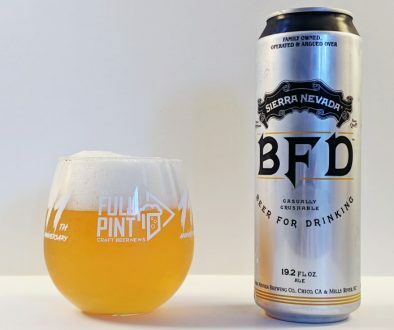 BFD and Nooner aren’t being brewed anymore. Summerfest will be coming out in April though. Thank you for the info! I was going off their website, which still has both under year-round. But that makes sense that they are phasing them out.